Brown rice idli is a healthy idli variety which I started making at home recently. We all know the amazing health benefits of brown rice but we don’t use it in our regular cooking. So I wanted to start with idli. There is no much difference between this idli and our usual white rice idli. Colour of this idli will be slightly yellow..Do try this recipe , you’ll love for its softness..I also made dosa the next day which tasted good. The only thing which I feel bad is that the batter becomes sour very soon even refrigerated. So we have to make in lesser quantities & keep it for one day. Try the quantity I mentioned here. This will be enough for three to four people . 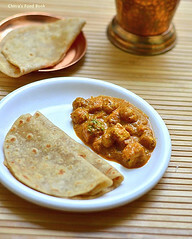 U can make idli for breakfast & dinner the same day and dosa the next morning. I used poha to reduce the quantity of urad dal..U can make this idli more healthy by adding oats along with the other ingredients. 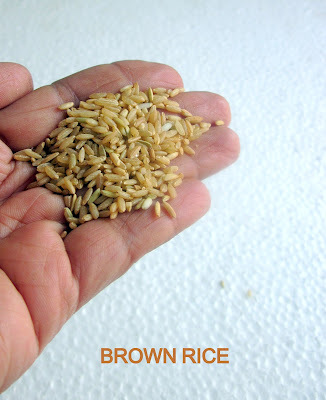 Brown rice has lot of health benefits. 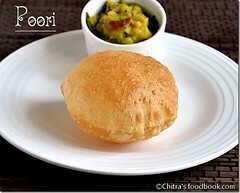 Do try this idli recipe. 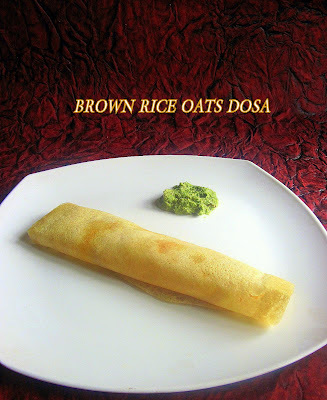 If u r interested, have a look at this oats barley idly recipe as well..Lets see how to make this healthy brown rice idli dosa recipe. Wash the brown rice 2-3 times to remove the debris.Soak rice, urad dal,methi seeds,poha together for 4 to 5 hours . Now drain the water and grind them in the grinder adding salt & water. Add water in regular intervals. This takes nearly 20-25 minutes for grinding. It too 2.5 – 3 cups of water ..Remove the batter and allow it to ferment for 8 hours or overnight. The next day, batter would have raised well.Mix the batter and make idlis..It takes around 15-18 mins to cook. Check with the spoon or wet your finger and make a hole in the center of the idli , if your finger comes out clean , idli is cooked..Serve hot with chutney or sambar !! Please wash the rice 2-3 times. Otherwise the color of idlis will be brown .. If you are planning to use mixie to grind the batter , use ice cold water. 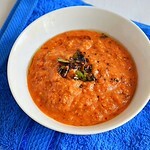 But the idli softness may be less..
For making dosas, add little water , dilute the batter to get crispy dosas. Looks sooo good.. such tempting pics. 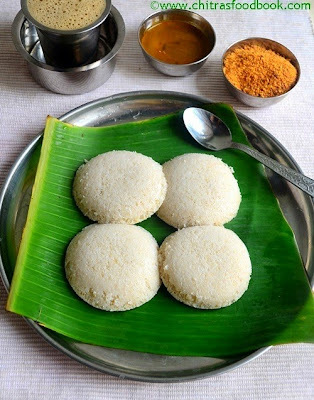 Love to start my day with this healthy and super soft idli. Love this healthy healthy idlis... A question to you - the brown rice we get in the market is not parboiled brown rice - is that ok? Did you use regular brown rice? 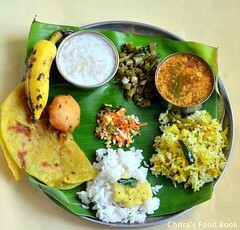 Sounds healthy chitra :) will soon give a try. so good n my family's fav. super healthy!!! will try it out soon!! Thanks for the recipe. Have to try it sometime with these brown rice. I tried your idlis and they were nice, fermented well. Only mine turned out a little sticky, don't know why? Any clue? Also could you please tell me which brand of brown rice do you use? Will try that next time. Thanks for your reply Chitra! 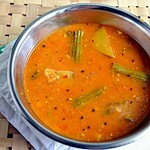 Everyone loved the idlis though tad bit sticky, it was fine with sambar. I feel my main culprit might be the 100% whole grain short brown rice that I got from an Asian store (big 20lbs bag!). It doesn't look as long grain as yours. So next time will try long grain brown rice and see if there's any difference. All in all, I am very happy with your proportion, the healthy ingredients and its outcome. This idli will be a regular in our home now. Thanks! 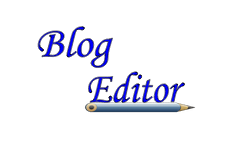 Hi Chitra, I am back to update you. I tried it with regular brown rice and the idlis turned out perfectly soft and spongy. It's a hit at our place and I hardly make white rice idlis now :) Thanks to you! I tried this....my only concern was even after 2o min of steaming its uncooked in the center.Brown rice takes longer to cook compared to white rice.I guess it needs more time to steam as compared to regular white rice Idlis. 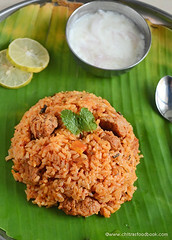 Good Idea of using brown rice. 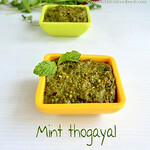 Planning to try with Brown rice and Moong dal (easy to digest) instead of Urad dal. Manish. Thanks a lot for this recipe !! Looks sooo yummy and tempting. BUT i am in no luck. I am using Organic Brown rice from Costco and I dont get the smooth ground rice though I use Ultra grinder. Do you know why? Iam not sure why it is not grinding smooth. But i think,if u soak the rice for more time,u may get a smooth batter.I usually soak brown rice for 4-5 hours. What kind of blending device did you use? I am American and have never seen one with the 3 wheels like that! Please tell! :) I also am vegan and have celiac disease.. so i have not been able to eat bread for a long time. 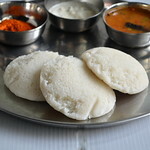 I ate some Idli for the first time at a friends and I am so excited to try making them! Its an Indian Mixer Grinder.You can find it in Indian stores :) There are different brands available.You can grind the same in Mixer or Food processor too.Please check my Mixie idli post to get some idea :) Thanks. Hi, use 1/2 cup of brown rice, 1.5 tbsp of urad dal, 1/2 tbsp of poha, 1/2 tbdp of oats, a small pinch of methi seeds.Soak everything together, grind and ferment. Make idlis. Yes u can use. 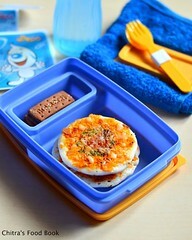 Leftover cooked rice can also be used.